We settled on this exceptional site in the Corbières in 1881. This place is remarkable, first for the quality of its terroir, and second for the beauty of its unspoiled landscape. The 350 hectares of the estate sit within the Parc Naturel Régional de la Narbonnaise en Méditerranée. The ‘scrublanded’ vines, 30 ha of the whole, perfectly integrate into the rolling hills of the landscape, dotted across the Fontfroide massif. They produce wines enriched with the aromas of the surrounding Mediterranean flora. Fontarèche, whose name comes from the Latin ‘fonte erecto’ (the gushing fountain), is one of the great historical wine estates of Languedoc. The inventories of Archbishop of Narbonne mention vines at Fontarèche as early as 1350. In 1682, Château Fontarèche and its wine estate passed to the Mignard family, whose descendants, the Lamy family, still own the estate today. Château Fontarèche is located in Languedoc, a few kilometers from Lézignan-Corbières. The Estate forms a perfect 200ha-square around the buildings. 160ha of classified vines, half under the Corbières AOP, half Vin de Pays, have flourished here seemingly forever. The Château’s location makes it a wonderful place to live: the Canal du Midi, the medieval city of Carcassonne, Cathar castles and the Mediterranean Sea are just a few kilometers away. The variety of terroirs allows a wide range of grape varieties to be grown. The Estate has 17 different grape varieties, including the traditional Carignan, Syrah, Grenache, Mourvèdre for red, Picpoul noir for rosé, and Roussane, Grenache blanc and Macabeu for white. However, some of the Estate’s terroirs have also allowed us to successfully reveal the qualities of great varieties such as Chardonnay, Viognier, Vermentino and Colombard for white, Merlot, Cabernet Sauvignon, Alicante Bouschet, and Caladoc for red. Situated in the heart of Corbières, on the Lézignan Corbières terroir, Château du Grand Caumont is one of the largest estates in the appellation with 100 hectares of vines on 140 hectares of land and Mediterranean scrubland. Conditions in the Corbières region are ideal for cultivating vines. The vineyard surrounds the Château and lies on terraces of clay-limestone and gravelly soils which act as a good filter. The dry, hot, sunny Mediterranean climate ensures a long growing cycle for the vines and the strong north wind that blows all year round keeps the need for chemical treatments to a minimum. These terroirs, used solely for vine growing, produce fragrant, aromatic wines that express the richness of the Languedoc sun. 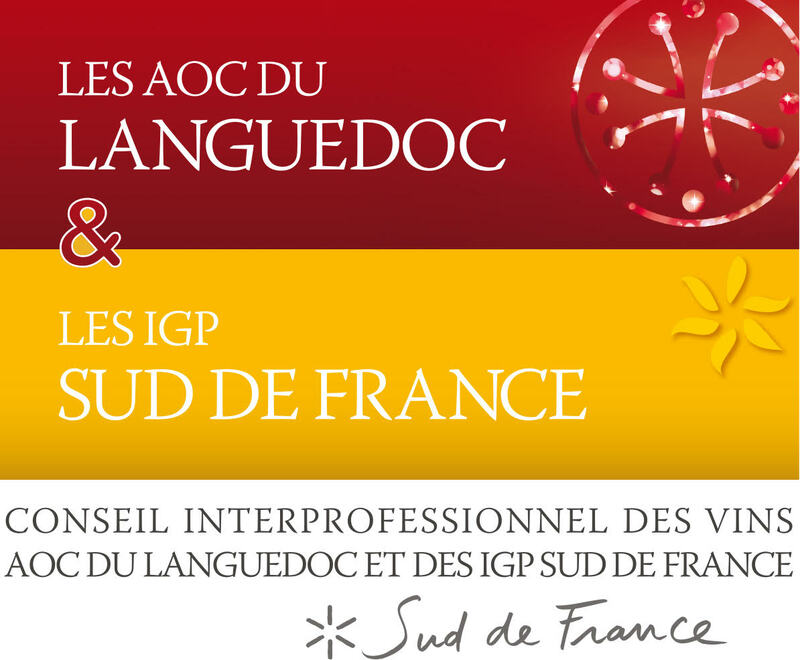 70% of the wines produced at Château du Grand Caumont's are AOP wines and 30% Vins de Pays, IGP Oc and IGP Aude wines. Already an experimental estate in the 19th century, the Grand Caumont vineyards have recently undergone numerous improvements in terms of vine plantation and wine-making techniques. The grapes grown are the traditional Corbières varieties. The traditional grape variety is Carignan noir, the traditional varietal of the Languedoc and once again back in favor, with its superb aromatic qualities. About 30 years ago the estate also introduced Syrah and Grenache noir, varieties that adapt very well to the Languedoc terroir. The average age of the vines at Château du Grand Caumont is 40 years. The property has a certain number of parcels of old Carignan, old vines which range between over 50 and 70 years old and which are harvested manually and the grapes vinified whole. Grand Caumont's Vins de Pays are essentially a blend of Merlot and Cabernet Sauvignon, which are harvested with the most up-to-date machines equipped with a stemmer and vinified using traditional methods. In order to constantly improve their wines, develop aromas and offer a greater range, Laurence Rigal has also recently planted new varieties such as Cinsault, a delicate and aromatic variety for red and rosé wines, the fruity, floral Vermentino for white wine and Marselan, with its notes of ripe fruits for the Vins de Pays. The vine arrived to Fontfroide 900 years ago. Cistercian monks planted it to get grapes and make wine, for liturgical purposes. The Rule of Saint Benedict, which regulates the life of the community, allows them to drink wine: they therefore had additional motivations to make it great. Little by little, the monks have selected the best locations and orientations, learning about “terroir”, taming varietals, refining wine making methods. Their wine is held in high respect. Since 1908, the Estate has belonged to the same family, whose members passionately cultivate the vines, just like their predecessors did. The terroir of Fontfroide is oriented west-east, on the foothills of the Massif of Fontfroide, a shield before the Mediterranean. The vineyard spreads at the border of the scrubland, a land of pine tree, rockrose and heather. The sand and clay soils, formed from the pink sandstone bedrock, allow the grapes to give its most beautiful expression thanks to a great water reserve. In this fresh terroir, red and white grapes mature slowly. This leads them to an outstanding aromatic maturity, which one will find in rare, intense, aromatic, fruity wines. The vineyards of Corbières symbolize the cohesion of 11 special terroirs. You will certainly return from there with memories of its beautiful scenery, but also of the warmth of the persons who live there. The Appellation Corbières, the first AOP of Languedoc in volume, is full of incredible treasures. Any wine lover should discover it. Our estate comprises of a 120ha-vineyard divided into 8 different varietals: Syrah, Carignan, Grenache noir, Mourvèdre, Cinsault, Vermentino, Maccabeu, Grenache blanc. Out of these 120ha, Jean-Noël Bousquet cultivates 105ha in AOP and 15 in Vins de Pays. The latter are mainly exported. The CAMBRIEL family, who live in the Ornaisons area, has cultivated vines for 5 generations in several villages at the foot of the Corbières mountains. In the 1950s, the paternal grandparents, Albert and Judith, professional gardeners, invested in 4 hectares which they would bring to the village cooperative wine cellar. In 1975 their son André, with the help of his wife Lydie, started developing and expanding the vineyard to 12 hectares in 1980, still within the cooperative. In 1987, with the purchase of 10 hectares of land and additional vineyards as well as a some of the old Hauterive castle buildings, the wine making adventure began. Today the estate spreads over 72ha, of which 48 are vineyards but we had to reprogram the uprooting and replanting of new parcels of land (6ha in 2016) to bring the estate to 54ha in production by 2020. 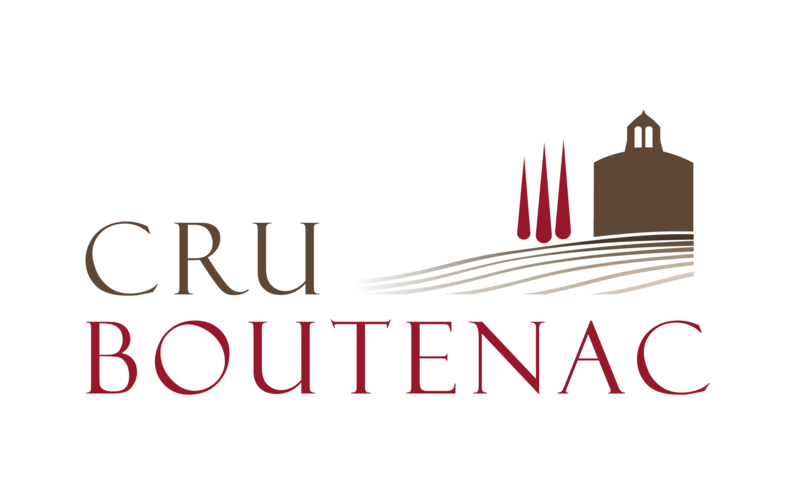 En appellation Corbières, sur les hauteurs de Boutenac connue comme terre de vignes depuis l'époque romaine, nous portons une attention particulière à la culture du vignoble du Château de Saint-Louis. Les 120 hectares de vignes, conduite de façon raisonnée depuis plus de 30 ans, nous permet d'élaborer des vins de terroir à forte typicité, mettant en avant les particularités du fabuleux terroir de Boutenac. Le Château de Saint-Louis compte 11 variétés de cépages, 7 en rouge et 4 en blanc, favorisant l'élaboration de vins de cépages fruités et harmonieux, et de vins d'assemblage élégants de caractère.